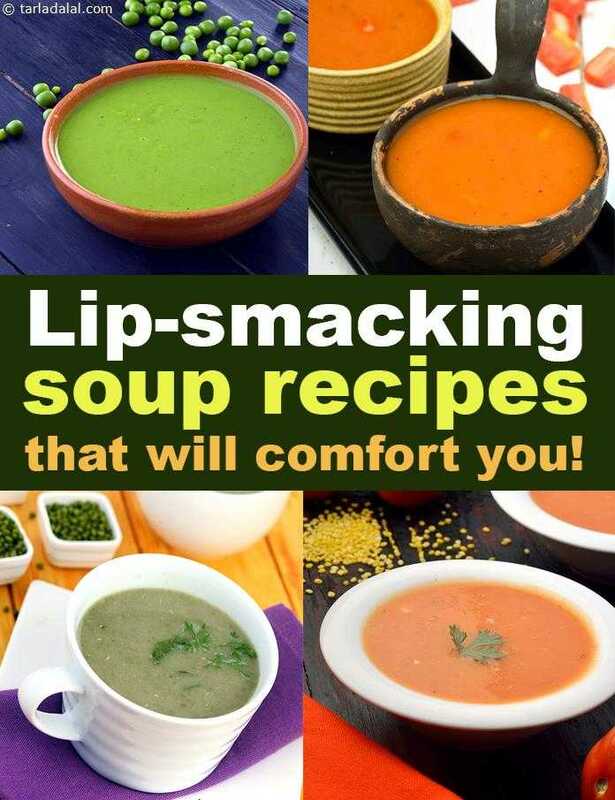 Lip-smacking soup recipes that will comfort you! For some people comfort soup might be a bowl of the Punjabi famous Makai Shorba, for some it would be the Mexican Black Bean soup, for me it has to be the Chinese Manchow Soup. It all depends upon personal preference. Apart from the classic continental clear soups made of vegetable stock, exotic crunchy veggies, seasoned lightly with salt and pepper, there are also many interesting oriental soups with a hint of peppy sauces. Indian soups with generous amount of spices are also quiet refreshing and unique! When you’re trying to lose weight, or on a day when you feel heavy, you can sip on some low-calorie soups that are not made with potatoes, cream, corn flour and other calorie bombs. A combination of cooked leafy greens like the spinach and dill, with a pleasant citrusy flavor from the lemon, makes Lemony Quinoa and Baby Spinach Soup an interesting recipe. Also, the simple Broccoli broth with a handful of ingredients takes not more than 6 minutes to cook and will surely please your palate. Other mus try soup recipes are the Oats and Roasted Capsicum Soup & Healthy Tomato Soup. Apart from soups made with vegetables, you can even make an array of soups with lentils and pulses. Here’s a list of soups you must try to try something off-beat from the regular soup recipes. Enjoy our other Comfort Food Soups and Comfort Food Recipes articles below.